My first stop was Pike Place Market where I had the most delicious lunch at Market Grill. You can’t beat grilled salmon, salad, and brown rice! After lunch and ample digestion, I decided to go to Urban Yoga Spa for a hot power yoga class. I have mixed feelings on hot yoga. I liked working up a good sweat after sitting on a plane for 6 hours, but it was soo hot! The teacher said it was 100 degrees! I think it’s a good workout, my heart was certainly beating quickly, but I just wonder if it is a better workout than regular yoga or a workout in a standard temperature where your heart rate is rising because you are doing more strenuous exercise ? 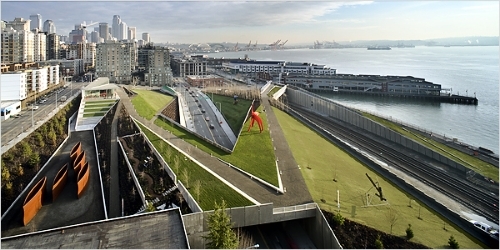 The next day, I woke up and went for a run at the on the trails along the Puget Sound that are part of the Olympic Sculpture Park. Post run breakfast was at Evolution Fresh. I know this brand from their green juices sold at Starbucks, but I had no idea that they have brick & mortar cafes in Seattle and San Francisco. I had the lemon, ginger, cayenne shot and green smoothie bowl (fresh kale, pineapple, mangoes, greens juice, pineapple coconut water, topped with granola and seasonal fresh fruit). I actually went here twice during my trip and have to say it’s a little disappointing. The service is slowwww. They were out of ginger, and gave me the wrong dish. Their menu looked really yummy so I wonder if possibly they do a better job with lunch than breakfast. In the afternoon, my husband and I did a light hike in Discovery Park, but not before eating another Asian inspired meal. Can you see a theme here? On Friday, we drove to Portland, and did much of the same things we had done in Seattle with the addition of wine tasting in the Willamette Valley. I went to my first Core Power Yoga class which I really enjoyed. This time the heat was a cool 85 degrees! After class, I had another first, my first pitaya bowl! The Pitaya Bowl was from a bicycle powered juice bar. You could pedal the bike in order to make the blender run. I welcome your comments and travel recommendations! How do you feel about hot yoga? Do you ever eat a meal and then immediately start craving it again? With its fresh mountain air, endless ski trails, hikes, and local granola, Rocky Mountain ski towns are usually some of the healthiest towns in the USA. 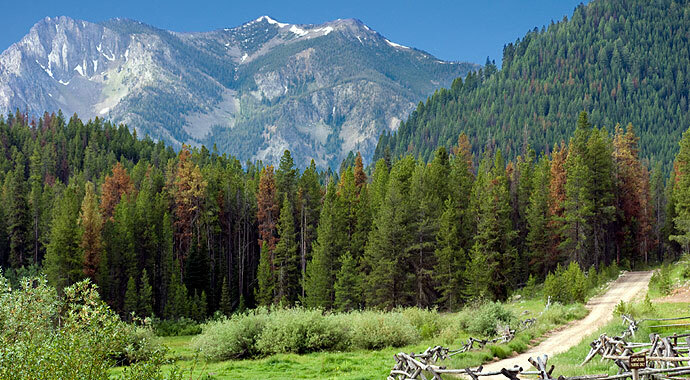 Sun Valley, Idaho, though a bit off the beaten track, does not disappoint! Here are some of my favorite spots. Simple Kneads: Not to be confused with The Kneadery, Simple Kneads are baked goods, mostly muffins and cookies, that are sold at the grocery store, Atkinsons. My mother stockpiles these in the freezer and brings bags back to Baltimore. You would think she is preparing for a nuclear attack where she plans to subsist solely on muffins. Fun fact, she actually did prepare for a nuclear attack in Baltimore circa 2001 & 2002. This involved stockpiling water, those pre-packaged cheese/peanut butter with crackers, and some special window covers and tape. I digress… you have to get to Atkinsons early for the best selection from Simple Kneads. If you get there at the end of the day, it’s interesting to see what flavors don’t sell as well. This trip, carrot chia was a no-go. Personally, I think that sounds delish! These muffins and cookies are made with oat flour and are very low in sugar. They are EssentiaLAly Healthy approved! Wrap City: Another unbeatable wrap spot! They open at 8am for breakfast. I recommend the veggie scramble wrap or bowl. For lunch, the turkey chili is some of the best I’ve ever had. I consider myself a turkey chili connoisseur. Also, the Redfish wrap with wild salmon and feta is another favorite. Glow Live Food Café: I would categorize this as your typical vegan café. It’s a little expensive, the portions are small, but it has a lot to offer. The Thai Noodle Bowl and raw energy balls make for a top notch lunch. Nourish Me: A Sun Valley healthy guide wouldn’t be complete without including Nourish Me. However, this is more of a market/pharmacy, than a place I would consider for lunch. Go there for your vitamins, maybe not your fresh kale salads. Gather Yoga: This is one of my favorite studios ever! Every class I’ve taken here has been fantastic. I’ve taken a variety from hot, Hatha, yin, power, and all have been great. I especially love their yin yoga class after a long day of skiing. Lululemon: Sun Valley is not the kind of town with chain stores. I think with the exception of Starbucks, most stores and restaurants are local. However, there is a tiny Lululemon in the town. Like other Lulu’s this store has a free weekly yoga class. I only attended it once. It was outside in a park during the summer and it was so good!!! Definitely check out their class schedule if you are in town. Dinner: Too many good places to mention. You really can’t go wrong. Wherever you end up, I recommend the Idaho Trout. Whenever I had ordered it, it’s been fresh, local, and fantastic!